The BCB said, “Delray is a product of the internationally acclaimed BCB development program that has consistently received awards from the ICC. Delray played youth league cricket from U13 level  up to PDL level and was a permanent member of the BCB Academy program. “In 2014 the BCB negotiated a scholarship for Delray to attend the prestigious Bedes School in Sussex for 2 years to assist with academic excellence in addition to providing access to the Sussex Academy program. Lloyd Fray, President of the BCB, said: “We are very proud to have played a part in Delray’s development that has led to this historic moment for Bermuda cricket. We are always looking to refine and improve our pathways and Delray’s accomplishments validate the opportunities available. “Delray has not only proven to be an outstanding natural talent but has shown the dedication and commitment that is needed to succeed at the professional level of cricket in the UK. “Delray may have been originally recognized as a left arm spinner but he has proven to be a genuine all-rounder highlighted by his recent unbeaten hundred for Sussex 2nd’s and his scores on our recent tour to Toronto. Congratulations Delray and family!!!!! a major accomplishment in your quest for excellence. Your focus, commitment and hard work has proven beneficial and will be in all your future endeavours. Bermuda this is what happens ‘When Preparation meets Opportunity, it can only yield Success. BCB there are other young people in Bermuda with very similar traits, the only difference is some parents do not have the resources to make the sacrifice as much as Delrays’ family & support team has done. In my opinion, it is therefore, a requirement for the BCB to re-evaluate the ‘long term vision’ plan and show a similar commitment to make Bermuda as a country a force to recon with as a team, not just an individual being successful and having to represent on another country’s team. Bermuda your journey to Cricket World Cup 2023 begins now… 2019 may be possible but unrealistic. 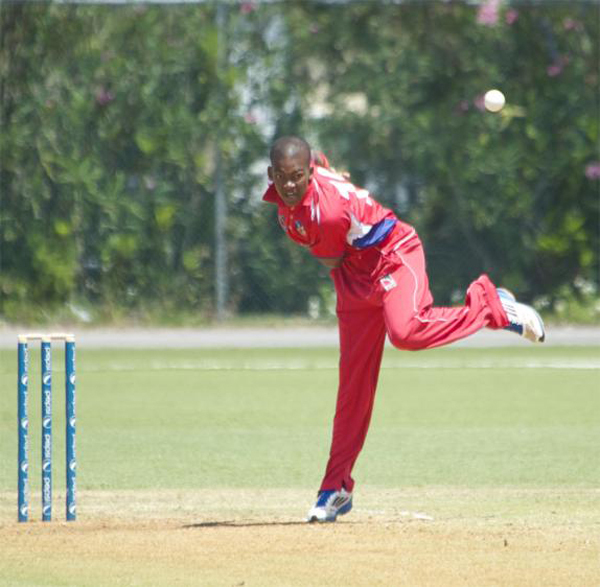 Internationally speaking, Bermuda is in a transition period for the senior team. A lot of younger guys are getting good overseas experience and we see the makeup of the senior team slowly fill up with these young guys. It should pay dividends down the road as these players become the nucleus of Bermuda’s international squad. Congrats Delray! Well done and keep up the good work. BRILLIANT OPPORTUNITY FOR THIS YOUNG MAN. What’s funny is he scored 50 in his first cupmatch, plays in England at a high level and then comes back to Bermuda team to bat at number 8 or 9. BCB be careful how you say you helped Develop him. What Del has is through his natural given talent, family genes and England. This young man is in England scoring 100s and batting and bowling consistently and it hasn’t come from BCB. Thanks for helping him to get to England but be careful how you use the term development. Cricket here n this island is trash.